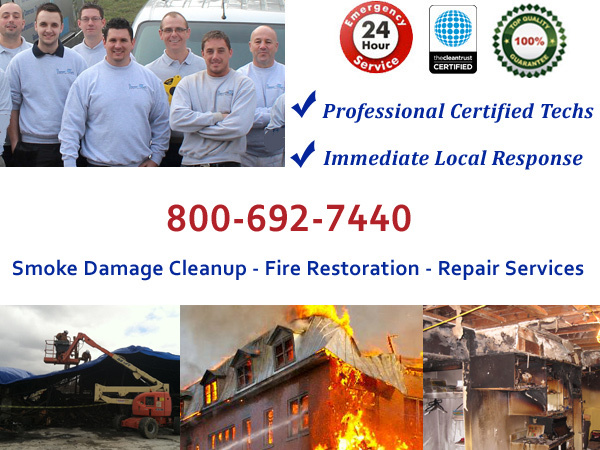 24 Hour Disaster Cleanup Services – We are Ohio premier contractor to cleanup and restore your property following a fire catastrophe. Our certified techs can remove your personal items, board up your doors and windows, clean soot and smoke damage and begin rebuilding your structure to pre-loss condition. We are an approved vendor for almost every major insurance carrier, saving you time and money. 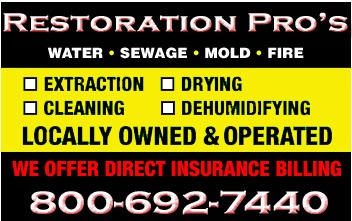 Smoke damage cleaning, personal property inventory and repair services. Most fires strike without warning. They move quickly, and the fire, if not immediately contained, can cause a loss of lives, and a total loss or damage to your home, your furniture, your appliances, all of your belongings and prized possessions. What’s more, the intense heat the fire produces, coupled with the water used to extinguish the flames causes all kinds of structural damage. Should you ever have a fire in your home, you need the services of the local restoration pros to repair and restore your damaged property immediately. In most cases, your homeowner’s fire insurance policy covers these expenses. Restoration pros deal with these types of fire damage emergencies every day throughout Ohio and we have the team to handle any size property loss.. They know that fast action is crucial, but they also know they must be thorough. When they come to your home, they know what to look for and make an in depth appraisal of your loss. In fact, even if your possessions looked like a total loss, incredibly, these knowledgeable restoration pros know how to return your property to the way it was.